Epic, thrilling confirmation of how powerful this band is. Good to see stacks of vinyl serving a purpose – as a lover of impromptu percussion/tapping on my thighs, Jim Eno’s methods resonate with me. Full show can be found here. I’m not going to spend this review talking about the release of The King of Limbs, the eighth studio album from Radiohead. All I will say on the subject is that the album’s genteel but unanticipated announcement reflects perfectly the content of it. As with all Radiohead albums, initial impressions may subsequently turn out to be wildly inaccurate, but I would liken The King of Limbs to two forebears, both stylistically and contextually: the quintet’s own Amnesiac (2001), and Blur’s pre-departure farewell, Think Tank (2003). Like the former, The King of Limbs is hype-free, glitchy, and pits the organic against the synthetic in an extremely natural way. Like the latter, this album is limber and light-footed, and betrays a substantial African influence. This is music to listen to while floating above a pastoral idyll – but with the brevity of a Tube journey. In spite of this overriding sensation of the folksy, the album opens with its least accessible foot forward: “Bloom” does exactly what it says on the tin, but in an unexpected way. From clattering percussion atop a piano loop already called Glass-ian, Thom Yorke moans indefinably, his words practically yawned out. But the secret weapon is the bass – another link to Think Tank, which featured Alex James’s nimble fretwork more prominently than any other instrument. Here, Colin Greenwood’s style recalls that of Dave Holland, who manned the double bass on Miles Davis’s In A Silent Way, or, more recently, a more leisurely Thundercat, as heard on Flying Lotus’s 2010 magnum opus Cosmogramma. A strong emphasis on groove is borne out on a couple of songs – “Morning Mr Magpie” is hypnotic, as is the 21st century Can of “Lotus Flower” – but always there is elegant counterpoint from (Colin) Greenwood. Brother Jonny is less apparent on the guitar, but his role in the electronics department is probably not to be understated. The King of Limbs is a very modern album in its use of loops and wafting samples, never more so than on quasi-instrumental “Feral”, which rubs ghostly fragments against tribal percussion. Rather than simply paying homage to their dubstep contemporaries, it’s nice to see Radiohead refreshing an already tired genre. But The King of Limbs has its six-string moments too, and it’s here that the Amnesiac comparisons start to make even more sense. “Little By Little” is a strange mash-up of “Dollars & Cents” and “I Might Be Wrong”, right down to the insistent drumming of Phil Selway. A little later, “Give Up The Ghost” channels campfire songs through a reverb spring, with an army of Thom Yorkes backing up the vocals in bewildering fashion – cooing, barking, resonating like E-Bowed guitar. 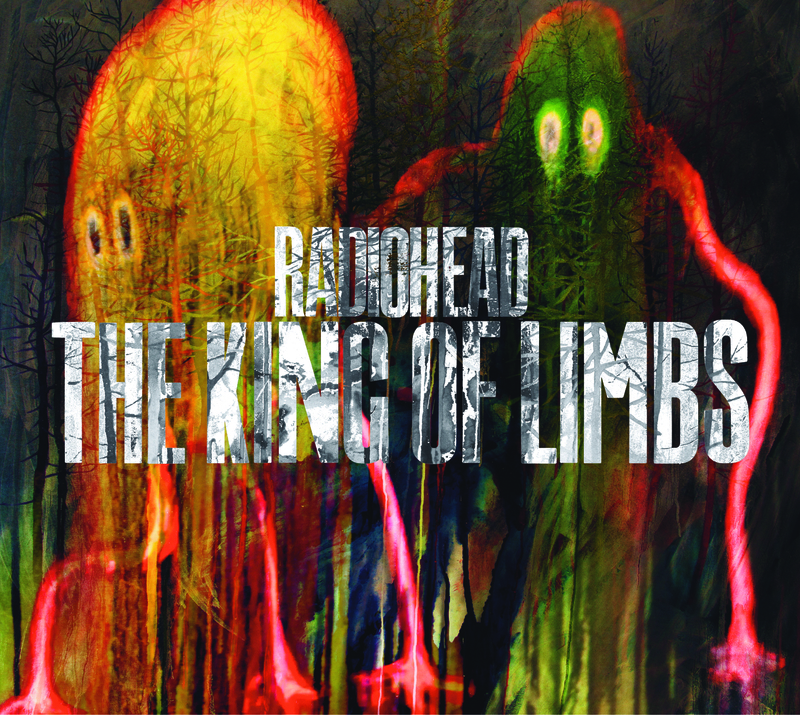 Amidst all the skronky jazz and accomplished krautrock, you’d be forgiven for thinking The King of Limbs has no heart. Luckily, “Codex” saves the day. Funereal piano and occasional sub-bass thumps are the soundtrack to the now-expected Yorkeian contemplation on mortality, and it’s true, this is a gut-wrenchingly beautiful composition. Strange chord changes and mournful woodwind only augment the melancholia. The inclusion of a song like “Codex” speaks volumes about this album. Radiohead may still be able to surprise their fans with a totally unexpected release, but the songs themselves don’t quite beguile the listener like they used to. This is a solid release, building upon the “seduction songs” favoured on 2007’s In Rainbows, and introducing orchestral and electronic textures by turns majestic and occasionally sinister. But there’s no confusing this for a Kid A or an OK Computer – even at their most rural, the Radiohead of 2011 are just too lush and inviting.